Complete list of Textile Shops in Pakistan. 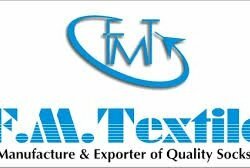 You can find the updated list of Textile Shops in Karachi, Lahore, Islamabad, Rawalpindi, Multan, Peshawar, Quetta, Faisalabad and other regions of Pakistan with their address, maps, locations, vendors and consumer reviews. You can also compare the Textile Shops here and find the best Textile Shops here. You can also find the jobs related to Textile Shops here. MA Enterprise is the company working in Karachi Pakistan and they are Dealing in All Types of Welding And Safety Material . Nadir Saidjan Textile is one of the leading manufacturers of tents, cotton canvas, and tarpaulins with state-of-the-art in-house processing and stitching facilities. Al Hasham Enterprise is the company located in Faisalabad and they has All Kind of Textile Dyestuffs & Chemicals.